After a year of development, Kerbal Space Program 1.1 ‘Turbo Charged’ has finally left spacedock and is now available on Steam and through the KSP store. 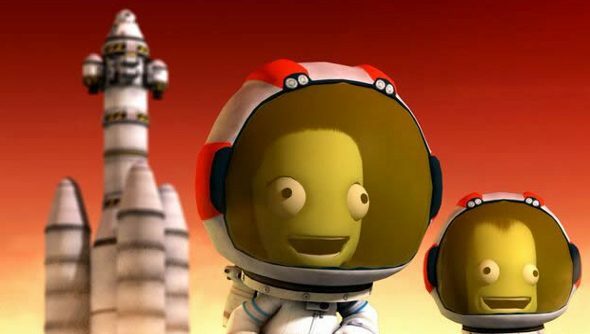 What’s Kerbal 1.1 got for us? Wanting to go on a long trip? Take a look at our rundown of the best space games. Fire it up and you might notice some performance improvements thanks to the upgraded Unity 5 engine, while developer Squad also promise more modding opportunities due to the 64 bit binaries for Windows and OSX. If you want to swot up on thrusters or some other physics malarky, there’s the new KSPedia reference guide. It explains the basics, like building and flying, as well as trickier subjects like the pain in the arse that is space docking. Anything that you need to know about getting to a new world or a moon that tickles your fancy should be in there. After browsing the KSPedia, new players might want to check out the overhauled tutorials, covering subjects ranging from construction to landing on Mun. There are new scenarios, too, unlocking advanced mission concepts, like landing space planes or flying the first stage of a rocket back to the launch pad. Anything in there that you’ve been waiting for?